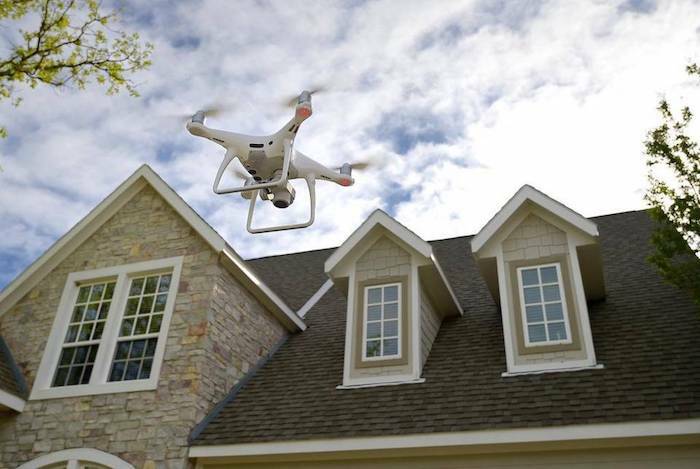 One of the industries that has been disrupted by drones more than most is the roof inspection industry, specifically for insurance adjusters. The value a drone provides is obvious when you look at traditional roof inspection methods. Traditionally, a roof inspection involved a ladder assist company coming out to set up a ladder for the task adjuster, the task adjuster would then climb the ladder to get onto the roof, perform the inspection, which includes walking along the roof taking measurements and photos, then, heading back down to write a report. This is an extremely slow and inefficient process for the task adjuster and can take hours to complete. Luckily, with the emersion of drone technology, this slow and inefficient process is now simple, fast, and produces better results. 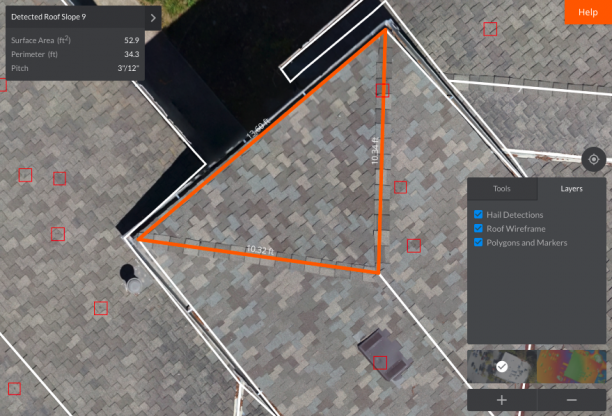 Drones allow adjusters to get high quality imagery that can be used in the creation of 3D models for roof analysis, measurements, and estimates. It should be noted that drones can not completely replace roof inspections. There are still many aspects of a roof inspection that may require an adjuster to get on the roof. Some of these include water damage, assessment of damage below shingles, tiles, or metal roofs, determining if tiles or shingles need to be replaced or are loose, etc. While a drone can’t be used for everything, every year we are seeing more and more adoption of the technology. As a drone pilot, what do you need to know to get started doing roof inspections and how do you go about getting jobs? The first thing you need to know is what you’re talking about. Remember, being able to fly a drone does not mean you will instantly get jobs. You need to show that you are an expert in a specific field and can provide value to the customer, more so then what they can do themselves, or, more cost effectively (either in money or time) than they can. To do this, it’s highly recommended you take a course that teaches you the fundamentals of roof inspections for insurance adjusters. We have just launched a course within our Soaring Sky Academy to do exactly that; focusing specifically on what a drone pilot would needs to know to inspect a roof, speak with an adjuster, and gain new business. However, any course or class on roof inspections for insurance adjusters is a great place to start. Once you understand the fundamentals of what is involved in a roof inspection, you will now need to figure out what analytic software and reporting you will provide as a final deliverable. When looking into the different options, make sure you understand what your customer uses. If they use Xactimate, make sure you report can integrate into Xactimate, this is a critical piece of information that you must know because the industry because you do not want to add more problems to your clients claim process. In terms of marketing and sales within the insurance industry, there are many ways to get started. One of the best ways is to attend an industry show. At these shows, you can meet hundreds of insurance adjusters and companies for which you can make connections to get jobs and learn what their needs are and how you can best provide a solution. It’s important to show your customers what you can offer and then listen to make sure you’re offering exactly what they are asking for and not what you think they want. If you don’t have the budget to attend a show then go online and good independent adjusting companies in your area. Reach out via email and phone and see if you can get the claims managers contact information. Understand their current situation and if they even know what drones are, explain the value and see if this could help streamline operations. The way we have always secured business is by first offering a free demo, this shows the customer the value and also lets them know you believe that this service can really help. Now that you have some clients, you will need to figure out how to standardize your outputs and quality of the reports with the goal of being able to scale. If major hurricanes hit the US again like they did in 2017, there will be thousands of insurance claims from multiple insurance companies that need roof inspections. Its absolutely critical to have an SOP in place and ensure your team is trained up to your standards before you scale. Preparing now, ahead of hurricane season is the best way to do so. At Soaring Sky we put together a training curriculum specifically for drone roof inspections. We based this on the refined SOPs and procedures we developed from doing thousands of Aerial Roof Inspections after Hurricane Irma for multiple companies. I highly recommend this course to anyone wanting to break into the industry and start conducting roof inspections for insurance adjusters.